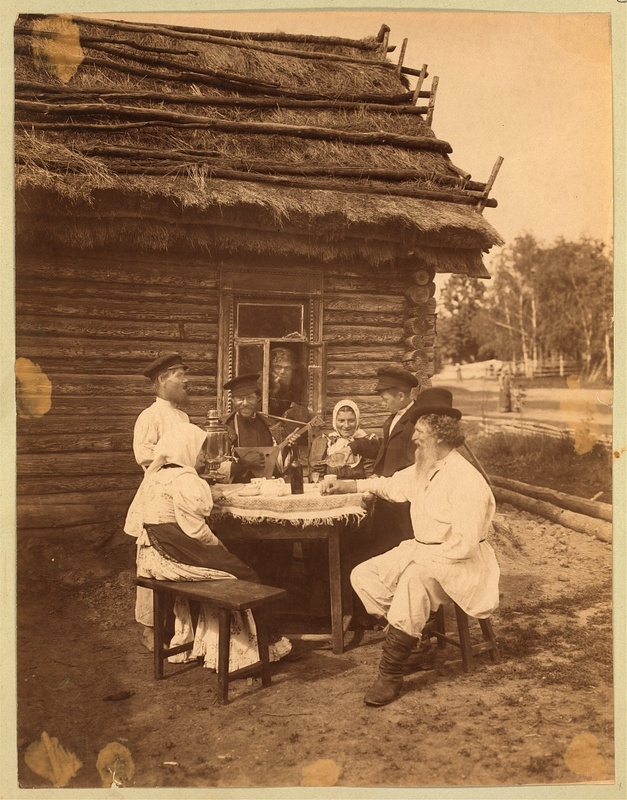 the picture above offers a glimpse into the lives of Russian peasants towards the end of the 19th century. The picture makes it clear that although the Russian serfs were emancipated in 1861, they remained second-class citizens for decades after. Most lived in poverty, obligated to pay special taxes and crippled by debt incurred for the land which they thought was theirs by right. Following the end of the Crimean War in 1856, in which Russia was defeated by a coalition lead by Great Britain, France, and the Ottoman Empire, it became apparent to many Russians that the feudal system that had defined their society for nearly 800 years could not keep pace with the industrialized powers of western Europe (Freeze 201). These nations had begun to phase out the system of serfdom centuries before, and by the 19th century western Europe had changed from an agrarian society to an industrial one (Keen 236-237). In order to modernize Russia, the serfs would have to be unbound from the land. This ultimately led to the emancipation of the serfs by Tsar Alexander II. When Alexander II signed the emancipation into law neither the nobility nor the peasantry were pleased with the outcome. Although they were free, the peasantry were still bound to their local communities. These communities were subject to special taxes and obligations, along with the debt of the massive loans necessary to purchase a portion of the land from the nobility (Freeze 206-207). These obligations kept the peasant class at the bottom of the economic spectrum for decades to come. Much of the peasantry remained on the land, while facing debt and famine alone the way. 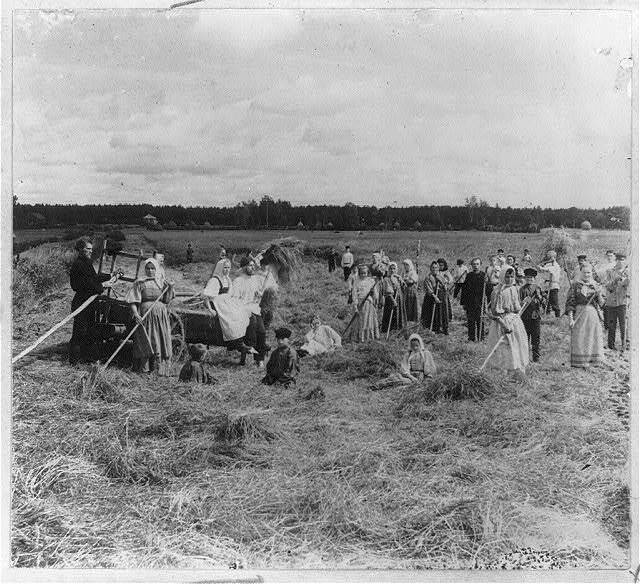 Decades of poverty similar to what is depicted in the pictures above, along with the inequality of the lower class, contributed to unrest among the Russian peasantry throughout the remainder of the 19th century (Freeze 208). Keen, Maurice. The Penguin History of Medieval Europe. London: Penguin Books, 1968. This post really shows the importance of knowing how the emancipation of Russian serfs was not really as exciting as people would like to think. Although the serfs weren’t directly answering to their previous “owners,” these Russians were still serfs to their debt and were trapped into their social class. Great post. I think that this post really clearly and succinctly lays out the facts about how and why this emancipation was unable to save Russia and in many ways only made the situation worse. The pictures and references you used really gave the post a great scholarly perspective. Probably my favorite blog post of the week. You describe clearly and in detail the problems Russia faced during the mid to late 19th century and the consequences of decisions that were made in attempts to try and fix them. Though it’s not directly mentioned here, I feel as though this sets the stage for what events are set to happen just a number of decades later. Interesting post! I agree with the first comment that the idea of making the peasants pay extra taxes and having to pay off debts from buying the land they had worked on for so long is similar to lobbying today, along with other ways the elite try to ‘buy’ specific policies that benefit them. This idea kept and still keeps the rich richer and the poor poorer, so that the latter have less power and influence on the government and/or ruler. In addition, the pictures you chose definitely help to illustrate the poverty many of the peasants felt–well done! Your mention of peasants having to pay special taxes made me think ‘why would the czar choose to tax the poor rather than the rich? Surely the latter would bring in more revenue.’ Then I realized how similar this situation is to modern day political lobbying, where corporations would try to convince the government to implement laws that either benefits the corporation, or would place the cost on people other than their corporation. The nobles of 19th century Russia had the means and intelligence to influence the czar, while the uneducated peasants could not defend themselves. I really enjoyed this blog and the insight you provided about the emancipation of the serfs. I think it makes sense how the natural progression from the failure at Crimea, the emancipation, the unrest, and World War One would lead to revolution. Really getting a grasp on the background of the history was helpful in understanding how it got to the point of revolution. Good post. I like the pictures you chose, which demonstrate the rural and laborious nature of the serfs’ lifestyles. Also, it is key that you elaborated on the details of the emancipation, because it was riddled with tax laws and other economic restrictions. Implementing the emancipation created more financial struggles for the peasants’ lives and offered little freedom in return.